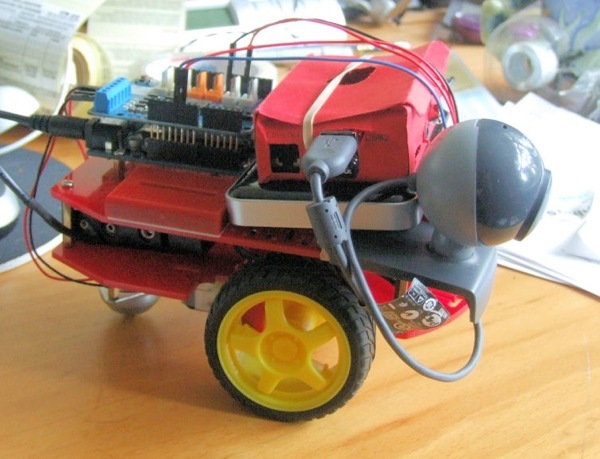 Arduino/Pi Robot « Adafruit Industries – Makers, hackers, artists, designers and engineers! Some very quick photos of my Pi/Arduino robot. AT the moment it will wonder around avoiding objects and you can get a robot’s view through a streaming webcam sent from the Pi.